Measuring and defining consciousness has been an ongoing challenge for neuroscientists, philosophers and psychologists for centuries. 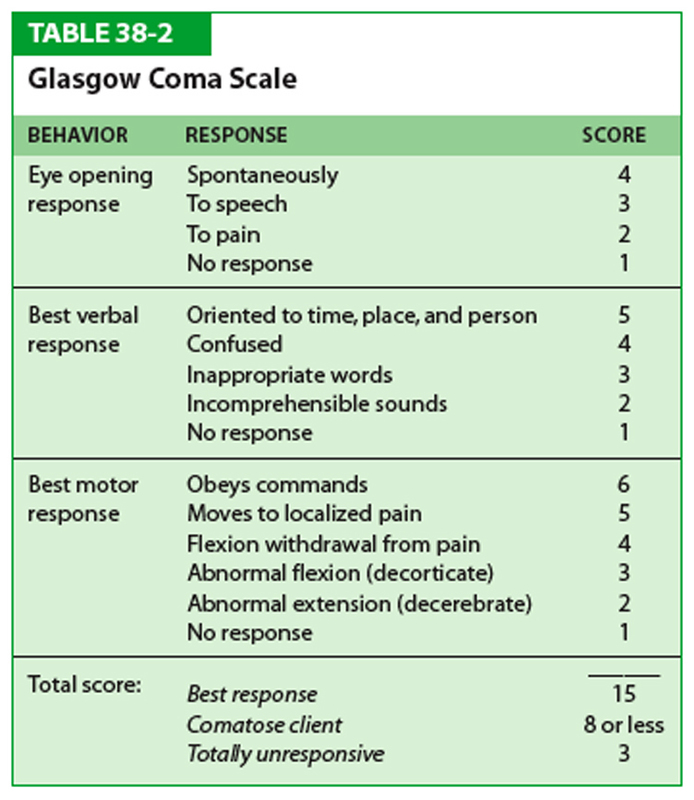 The concept of levels of consciousness is still mostly theoretical, such as the Glasgow Coma Scale (right), which ranks consciousness based on various behavioral criteria. 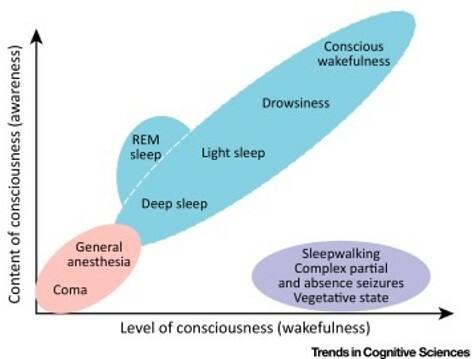 Professor Jakob Hohwy from the School of Philosophical, Historical and International Studies at Monash University and his team have argued that the idea of consciousness levels is wrong. Professor Hohwy and his colleagues believe that unlike the human body's more objective measurements, such as blood pressure and height, consciousness has dimensions rather than discrete levels. For example, a person in a vegetative state can't lift their arm when asked, while a conscious person can. But ask either to imagine themselves playing tennis—as a now famous study by co-author Adrian Owen of the University of Western Ontario did—and their brains may well light up in the same way. Clearly, their state of consciousness differs, however both may share an awareness and ability to respond to verbal demands. The Hohwy team argues that the notion of a single scale doesn't fit within the little we know about consciousness. They argue that subjective experience cannot be partial. "It's either something you have or you don't. And if subjective experience can't be put on a single sliding scale, neither can consciousness," Hohwy says. Rather than asking how conscious a person is, a better question might be to ask what the person is conscious of. Are they conscious of loved ones’ voices at their bedside, or only unintelligible noises? This could mean additional tests, such as brain imaging, to assess a person’s cognitive abilities. Gaining a greater understanding of consciousness could lead to more ethical end-of-life decisions for people with severe brain injuries. The research was published in Trends in Cognitive Neurosciences, and can be accessed freely here. 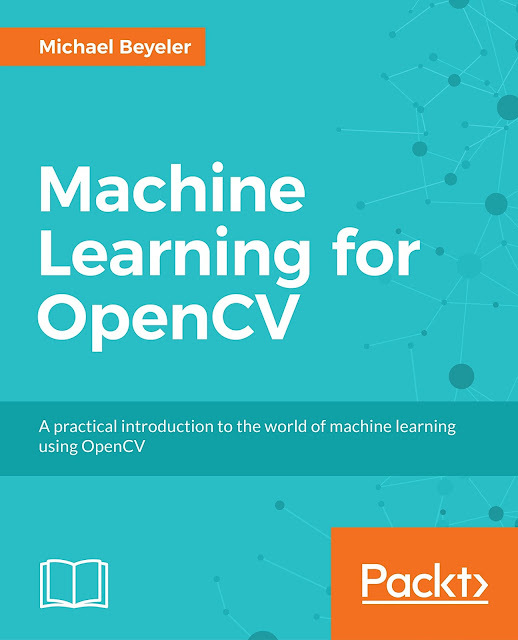 Source: Monash University. Via: NeuroscienceNews. Tetrahydrocannabinol (THC), the active compound found in marijuana, has been found to promote the removal of toxic clumps of amyloid beta protein in the brain, which are thought to kickstart the progression of Alzheimer's disease. The finding supports the results of previous studies that found evidence of the protective effects of cannabinoids, including THC, on patients with neurodegenerative disease. "Although other studies have offered evidence that cannabinoids might be neuroprotective against the symptoms of Alzheimer's, we believe our study is the first to demonstrate that cannabinoids affect both inflammation and amyloid beta accumulation in nerve cells," says David Schubert from the Salk Institute for Biological Studies in California. If you're not familiar with this special little compound, it's not only responsible for the majority of marijuana's psychological effects—including the high—thanks to its natural pain-relieving properties, it's also been touted as an effective treatment for the symptoms of everything from HIV and chemotherapy to chronic pain, post traumatic stress disorder, and stroke. The compound works by passing from the lungs to the bloodstream, where it attaches to two types of receptors, cannabinoid receptor (CB) 1 and 2, which are found on cell surfaces all over the body. In the brain, these receptors are most concentrated in neurons associated with pleasure, memory, thinking, coordination and time perception, and usually bind with a class of lipid molecules called endocannabinoids that are produced by the body during physical activity to promote cell-to-cell signalling in the brain. Over the years, research has suggested that by binding to these receptors, THC could be having another effect on ageing brains, because it appears to help the body clear out the toxic accumulations (or 'plaques') of amyloid beta. "Inflammation within the brain is a major component of the damage associated with Alzheimer's disease, but it has always been assumed that this response was coming from immune-like cells in the brain, not the nerve cells themselves," says one of the team, Antonio Currais. "When we were able to identify the molecular basis of the inflammatory response to amyloid beta, it became clear that THC-like compounds that the nerve cells make themselves may be involved in protecting the cells from dying." Humans spend less time monkeying around as they get older—and so do monkeys. 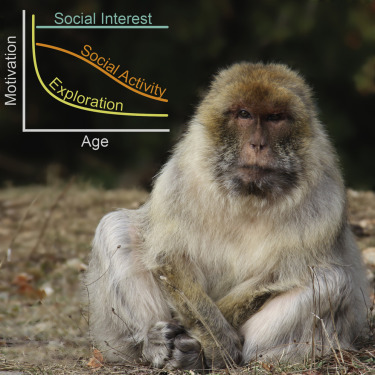 Dr. Freund, Julia Fischer, and their colleagues, who study primate cognition at the Primate Center in Goettingen, Germany wanted to know how age influenced the behavior of more than 100 Barbary macaque monkeys living in an enclosed 50-acre park in southern France. They studied how the monkeys, ranging in age from 4 to 29 (which is about 105 in human years, according to Dr. Fischer), responded to physical objects like novel toys and tubes baited with food; social interactions like grooming "friends" or fighting; and social information, like photos or calls of "friends" and "strangers". What they found is that aging monkeys show physical losses and reductions in social activity, much like humans do. Monkeys' interest in toys waned when they became reproductive, and around 20, (their "retirement age") monkeys, like humans, had fewer social contacts and approached others less frequently. What surprised the researchers is that this apparent withdrawal wasn't driven by a social tendency to avoid old monkeys: Younger monkeys still approached and groomed their elders. And it wasn't that older monkeys just weren't interested in anything: They still responded to photos of other monkeys and hissed at others during fights. "They are still very much tuned into what's going on," said Dr. Fischer. "But they don’t want to participate themselves." Whatever the reason behind the behavior of these distantly-related species is, there's a take-home message for humans: "Our behaviors that seem very much the result of our deliberation and choice," said Dr. Freund, "might be more similar to our primate ancestors than we might think."